Elegantly matches our collection of Lighted Showcases to create an amazing ensemble. 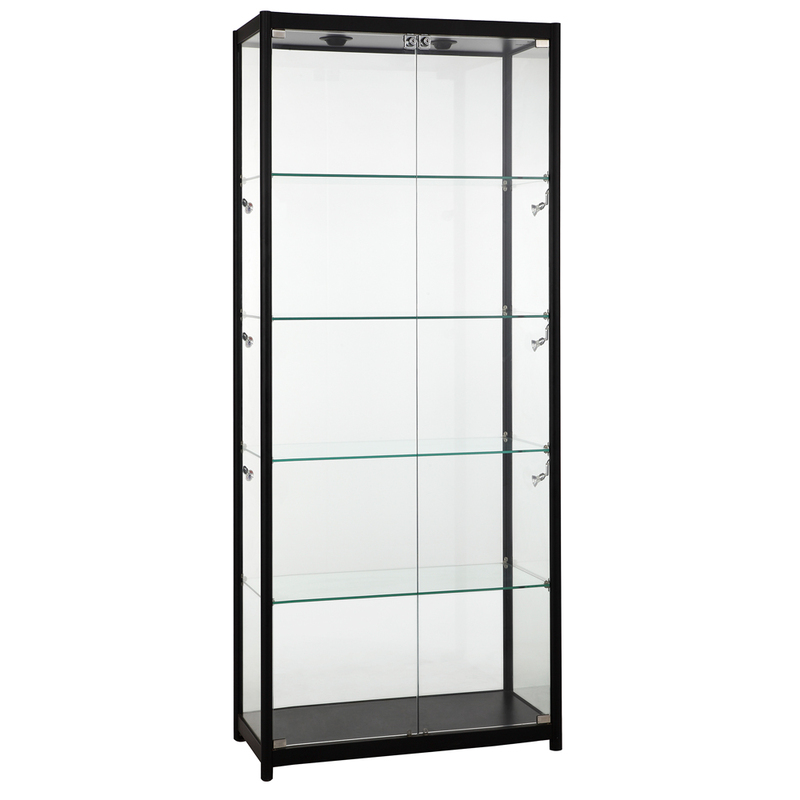 The Full Vision has 4 glass shelves and black deck. 15 in. between the base deck and the 1st glass and 14 1/2 in. between the rest of the shelves. Ships fully assembled. Not available for residential delivery. Switch the included halogen lights with our LED lights item# 4997 and 4998. Glass shelves hold a total weight of 44 lbs. per shelf and base shelf holds a total weight of 88 lbs.